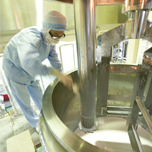 By 1996, eight phases of the Zama plant expansion had been completed aimed at facilitating the production process and creating product-specific production lines. For example, production rooms for mascara and eyeliner are completely isolated from the rest of the facilities so that measurement, mixing and filling can be done in a series of successive processes. Manufacturing of liquid products and pressing are done in dedicated working spaces isolated from each other, which are designed to be germ free. To keep the workrooms clean, the air pressure in rooms for measurement, mixing and filling is kept 2mmAq higher than outside, making use of the air conditioner by a heat pump, and the rooms are equipped with HEPA units as a final filter. We provide a complete delivery management system with efficient line operation based on detailed production planning for mid to long term projects, and smaller monthly or weekly projects. 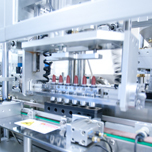 Our system is devised to specifically meet the diverse demands of mass production. 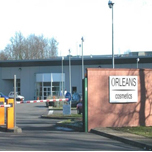 We opened as a cosmetics manufacturing factory in compliance with the latest and most advanced GMP standards in spring 2014. The second stage of construction was completed in April 2017, and in order to expand our filling, finishing, and packaging lines, we renovated the existing building and added on a warehouse and passageway. A few years from now, we will add on new manufacturing facilities for bulk (a component of cosmetics), with the goal of making these facilities on par with the scope of our current core facility, the Zama Factory. 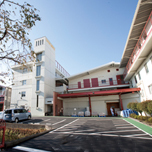 With our base in Western Japan, we manufacture mainly lipsticks but also all kinds of cosmetics and nonmedicinal products. We achieve a high technical performance with a structure for ensuring product quality while carrying out technology exchange with the Zama Factory. Established in 1964 and located 150 km west of Paris. 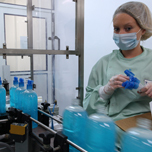 With 100 employees, the facilitate produces pharmaceutical products, hygiene and cosmetic products. 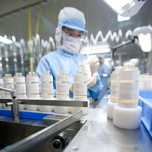 Thepenier Pharma & Cosmetics , specializes in the manufacturing of pharmaceutical and cosmetic products, and is governed by GMP, or Good Manufacturing Practices. Selective testing on raw materials and components while in production and on finished products enable Thepenier to adhere and comply with technical quality specifications. Flexibility and engagement are important factors in addition to quality assurance, at all levels. 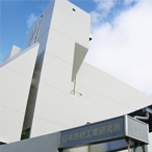 Nippon Shikizai France S.A.S. 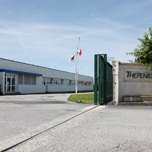 is one of a small number of OEM manufacturers in France supplying powder products. 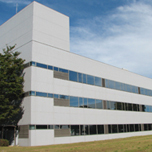 The company is a member of Cosmetic Valley the largest representative industry cluster in the world for cosmetics, and is located in the same area as the research facilities of major French and international cosmetics manufacturers, universities, and national research institutes. Its business is mainly with major domestic cosmetics manufacturers in France. With skills and experience in the industry, the company is especially good at making pallets and other powder products, and is developing products with a high level of novelty.